Maximilian Hornung, former principal cellist of the Symphonieorchester, dedicates an album to the cellomusic of Richard Strauss in the year of the 150. birthday of the composer. 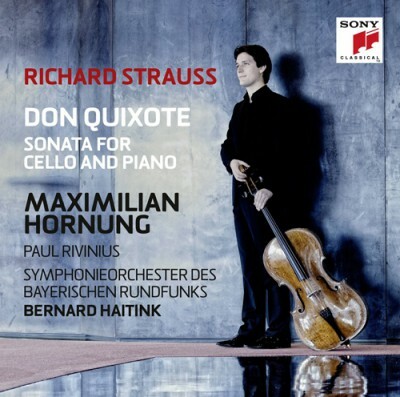 The great tone poem "Don Quixote" is a live-recording with the Symphonieorchester des Bayerischen Rundfunks, conducted by Bernard Haitink. Also on this CD: the early Strauss Cello Sonata.